Light, airy self contained annexe, ideal for two. Walks and coastal path are close by and easily accessed. Local amenities include golf courses and water sports and the beautiful beaches of Swanage are less than 2 miles. There are countless places of interest to visit including Durlston Country Park, Corfe Castle, Lulworth Cove, Durdle Door, the botanical gardens and swannery at Abbotsbury to name but a few. The village of Langton Matravers (a five minute walk) has a village shop/post office, The Kings Arms public house (serves food throughout the day), Putlake Farm (good for breakfast) and St George's Church. Not far away is the picturesque village of Worth Matravers and the famous Square and Compass public house which is a must to visit. Swanage hosts a variety of music festivals and art events throughout the year. Excellent facilities, ideal location for exploring area. Thank you Peter, it was a pleasure having you stay. We were most impressed with the location and specification of this property. Everything is top quality, and the little touches like tea, coffee, biscuits etc were most welcome. It is obvious that Katherine has put a lot of thought and care into this property. A lovely well situated self contained annexe. A very clean little annexe. There was everything there that you needed. Katherine was a lovely host and very helpful. The annexe is situated in the lovely village of Langton matravers which is in easy reach of swanage and stud land making it the ideal place to stay. An absolutely great holiday. The accommodation was well equipped, even had the basics to get you started such as milk and toilet roll, it had everything you needed to feel comfortable like home from home. Its located 20-30 min walk into Swanage and with a bus stop right outside to take you to Swanage if you don't want to walk or drive. We used the local buses to get round instead of driving, as there are loads of nice pubs to try the local brew in. 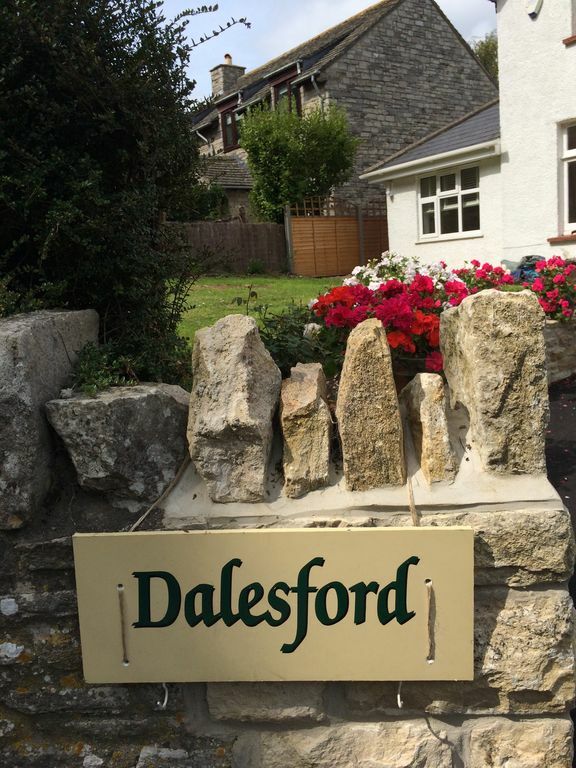 We recommend Dalesford and would definitely be going back. appartement waar alles op en aan zit wat je nodig hebt. Vriendelijke gastvrouw die heel behulpzaam is. Wij hadden onze fietsen bij ons en zijn daarmee steeds naar Swannage gefietst. Bergaf heen was heerlijk, terug bergop is voor de niet geoefende fietser moeilijk.